India will soon have a nationwide air ambulance service which could turn out to be affordable for common people with a monthly salary of Rs 15,000 or an insurance cover. 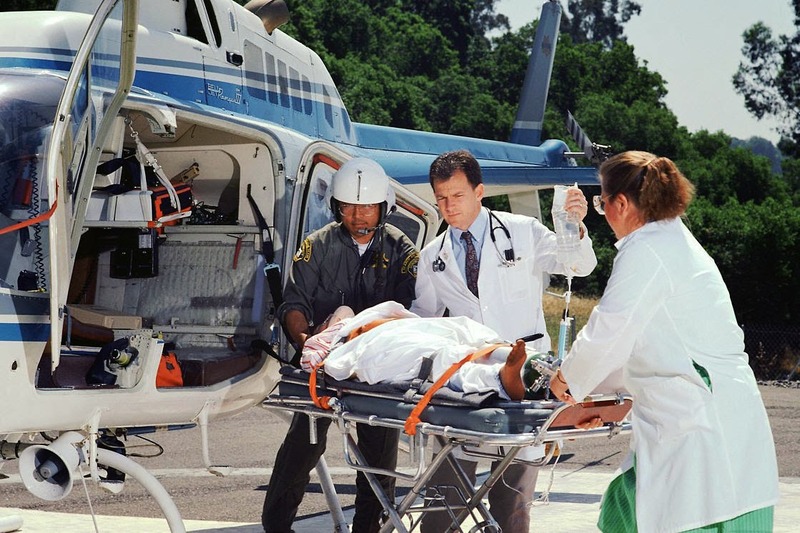 Helicopter emergency medical service (HEMS), which is common in developed countries, is expected to kick off in India in the last quarter of 2015, with three companies — Aviators Air Rescue Pvt Ltd, an Indian operator, Air Medical Group Holdings Inc, an air medical provider in the US and Airbus Helicopters — signing a tripartitie agreement. To start with, the proposed HEMS will begin operations from South India, using three Airbus Helicopters-built EC135 T3/P3 helicopters operated by Aviators. “More such helicopters are expected to be phased in during 2016 for expanded nationwide coverage. We expect to cover the entire country within three years as we are adding at least even helicopters per year,” said Arun Sharma, managing director of Aviators Air Rescue. “This service will be affordable to a person drawing a monthly salary of Rs 15,000-20,000. It’s very affordable and we are putting our final touches to the numbers,” Sharma told The Indian Express. “Each helicopter will be operated by two pilots and two medical crew. This service will be available nationwide with at least one helicopter covering the state,” he said. Sharma said the company is in discussions with insurance companies to make it affordable to common people. “There will be a premium to avail such a service. The service is affordable without insurance in its current offering,” Sharma said. He said in this first phase, there will be seven helicopters with a total investment of approximately $60 million. “We will tie up with hospitals and discussions are in the final stages,” he said. What can really make the HEMS popular and affordable will be the availability of insurance coverage for using such facilities. “One simple possibility is to give such emergency cover add-on cover to health and PA policies. The add-on cover is possible with life insurance policies. Yes, there will be extra premium for the add-on cover but it may not be significant,” said former IRDA Member (life) KK Srinivasan. The project has selected EC135 T3/P3 helicopter made by Airbus. “With the support of Airbus Helicopters and Air Medical Group Holdings which are leaders in their respective fields, Aviators will provide top-notch air medical services,” Sharma said. The government has started applying exclusion principles to its inclusion scheme, the Pradhan Mantri Jan Dhan Yojana (PMJDY). The life cover of Rs 30,000 announced by Prime Minister Narendra Modi for all those opening a bank account under the scheme will now exclude many. The finance ministry has put several riders for defining one's eligibility for a life insurance policy under PMJDY. In the guidelines issued to banks last week, the ministry said the insurance would be provided only to one person in a family for accounts opened between August 15, 2014, and January 26, 2015. Those filing income tax returns, serving and retired central and state government employees, employees of central and state public sector entities, and people already covered under the Aam Aadmi Bima Yojna have been excluded. The families of the individuals in all these categories will also be ineligible for it. "The scheme aims to provide security to those families who cannot afford life insurance, namely the urban poor and the rural poor, who are not covered under any social security scheme," the finance ministry said, in the guidelines reviewed by Business Standard. The life cover will initially be only for five years and provided to the head of the family or an earning member in the age group of 15-59 years. The person will be excluded from the life insurance scheme after turning 60. So, someone who opted for it at the age of 59 will be covered only for one year. The account holder should also have an active RuPay debit card (used at least once in 45 days) and a biometric card linked to the account to get the benefit of the life cover. "Those who already have a life cover from some other scheme will have to choose between the existing one and the one under PMJDY," said a finance ministry official, asking not to be named. 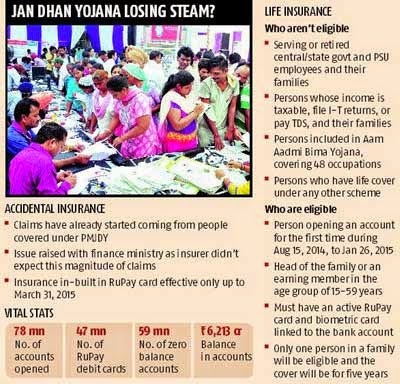 Since accident insurance of Rs 1 lakh, along with a RuPay debit card, was available even before the launch of the scheme and would be effective only up to March 31, 2015 (its extension will be reviewed later), life insurance and credit facility were the two main attractions of PMJDY. Absence of a life cover might make the scheme unattractive to many and hurt the financial inclusion drive. Launching the scheme on August 28, the prime minister had set a target of taking banking to 75 million households by January 26, 2015. Although 78 million accounts have already been opened, 20 per cent of households are still unbanked. Many people who already had an account opened another one. Only 47 million of these account holders have a RuPay card and 59 million accounts have zero balance. "Now, only the families which are truly eligible for the scheme will get the benefit," said a member of the State Level Bankers Committee, looking at the rollout of the scheme in a western state. Restricting the scope of the scheme will reduce the burden on the exchequer. Life Insurance Corporation of India will create a fund for life coverage with an initial corpus of Rs 100 crore from the Social Security Fund of the Centre. It will be replenished by the government from time to time within the stipulated premium amount to meet the outgo and administrative expenses. Earlier, the government had said the accidental insurance cover and life cover will be available to all account holders. Problems have started surfacing on the accidental insurance front, too. Although the insurance programme had come into effect from April 1, 2014, claims have shot up after the launch of PMJDY and the issue has been raised with the finance ministry as the insurers did not anticipate such high claims. "People who got the RuPay card as part of PMJDY have started filing accident insurance claims. We are awaiting more clarity from the finance ministry," said the person mentioned above. The RuPay card is being given free of cost to the customer and the National Payments Corporation of India pays the premium of Rs 0.47 per card to HDFC Ergo. It can be given to any account holder and every member of a family. A person who is already having a bank account with any bank just needs to get issued a RuPay card in his existing account to get the benefit of insurance. Members of General Insurance Employees Association, Bengaluru Region, have opposed the Union government’s proposed decision to increase the FDI cap in the insurance sector and disinvest the profit making insurance public sector undertakings. “Increase in FDI limit in insurance will not only lead to giving the foreign capital more space and access to the savings of Indians, but would also affect the nation’s economy”, Mr. Premkumar added. If the Union government pushes the Bill in the Rajya Sabha, insurance employees will go on a day’s strike, the very next day of the passing of the Bill, he said. India being viewed as a land of contradictions is a fairly common refrain. From bustling metropolises to lightless villages, there is a huge variance in different aspects of life. Nowhere is this variance as amply clear as it is in the insurance sector in India. Consider this, with 52 insurance companies, India’s insurance sector is one of the largest in the world in terms of volumes of money involved. And yet, insurance is yet not as pervasive in India as it should be, as only about 25 percent of the people have general insurance cover. This dichotomy of market-size and market cover is the biggest lacunae in the sector, a lacunae that the government hopes to fill through privatization. Yet, the road to FDI is fraught with many roadblocks. Successive governments have failed in opening up the sector, despite numerous attempts, leading to lot of confusion and conundrum. As a result the whole sector is in a flux. Even so, the insurance sector is projected to grow at a compounded annual growth rate ("CAGR") of 12-15 per cent in the next five years, according to the India Brand Equity Foundation. LIC is the only public sector insurance company in India and going by the life insurance premiums collected in FY 2013, it was a leader with a whopping 72.7 per cent market share. The insurance sector opened up in 2001, with the foreign direct investment ("FDI") limit being set to 26 per cent. According to various reports this sector has subsequently witnessed two phases: one that saw high growth between 2001 and 2010 and the other, a dormant period between 2010 and 2012. However, apart from these periods of rapid and moderate growth, the industry has also seen product and operational innovations, given the increase in competition. As of FY 13, the total market size of this sector was US$ 66.4 billion and is expected to touch US$ 350-400 billion by 2020. According to experts, while India’s insurance industry is no doubt growing and is poised to grow further, it is also facing profitability issues on account of distribution and operating models. It pegs the cumulative losses to private life insurers in the excess of Rs 187 billion till March 2012. Slow growth, rising costs and stalled reforms are further hindering the steady growth of this industry. If the announcement made in the Union Budget 2014-15 is anything to go by, the future of this sector looks optimistic. Taking a reformative step, new finance minister Arun Jaitley had proposed increasing the FDI cap in the insurance sector to 49 per cent. To this effect, in July 2014, the Cabinet Committee on Economic Affairs ("CCEA") approved 49% FDI in insurance, thus green-flagging reforms in the sector. This is a welcome move for the insurance industry which was looking to raise more capital from overseas for quite some time now. The proposal to hike FDI in insurance is pending since 2008. The Insurance Laws (Amendment) Bill was introduced by the previous UPA government. However it could not be taken up in the Rajya Sabha as it faced severe opposition from several quarters. However, with the new government pushing for reforms, the investment-starved sector has definitely got a boost. Insurance penetration in India is on a decline. In 2010, insurance penetration was 4.4 per cent, which further dipped to 3.17 per cent in 2012-13, according to Insurance Regulatory and Development Authority’s ("IRDA") annual report (2012-13). For insurance penetration to increase, the sector will need huge amounts of capital investment and the hike in FDI cap will only make this easier. "For long, the insurance sector has been waiting for adequate funds for its expansion. Increasing the FDI cap in this sector will definitely give it the much needed fillip," says Rajeev Saxena, Insurance sector expert, Mazars. "As the sector expands, it will also lead to job creation in the sector." As more capital flows into the insurance sector and the manpower increases, it will be easier for insurance companies to tap under-insured markets. By 2020, India’s insurable population is expected to touch 75 crore. 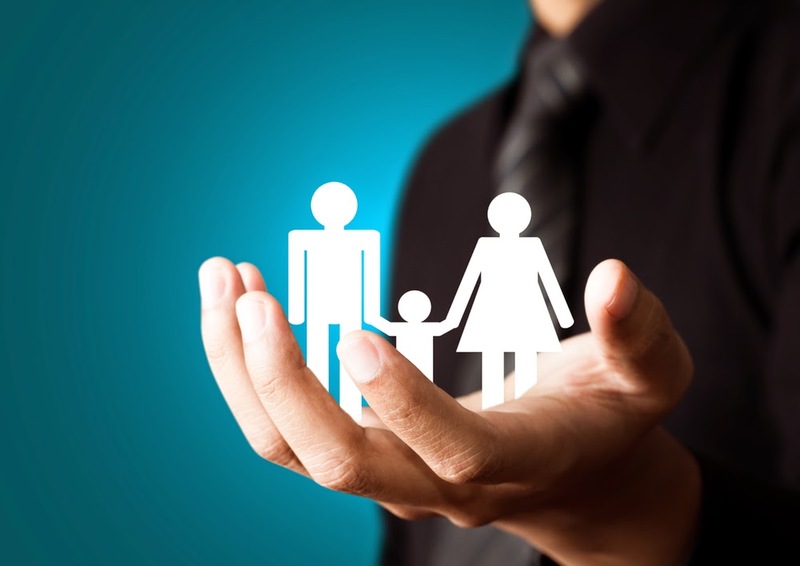 As a result, the importance of life insurance in financial planning is only set to increase. With the new government’s stress on reforms, steps taken by IRDA to make insurance more consumer-friendly and India’s favourable demographic, the future of India’s insurance industry looks good. However, it remains to be seen how this sector impacts the unbanked sections of India, in the years to come. The company, a co-sponsor for the Kolkata franchise Atletico de Kolkata, will be spending approximately ₹10 crore over the next three years to carry out such football-centric initiatives. According to Antony Jacob, CEO, Apollo Munich will look to bring to light the various health issues, including lifestyle diseases, and indirectly promote health insurance. Targeting Tier 2, 3, 4 and 5 cities, most of its immediate marketing activities will be centred around Kolkata and the suburbs. “Football has started gaining popularity across the country. And we would like to take this opportunity to create health awareness amongst the kids and their parents,” he said. India has one of the lowest health insurance covers per person. Market sources indicate that just 75 million people in the country (out of 1.2 billion) have health insurance cover. The premium per person, per annum in India is as low as ₹2,000. The company currently has 10 offerings in the health insurance segment and is looking to have an annual premium of ₹850 crore by the end of this fiscal. For FY-14, its annual premium collections stood at ₹685 crore. Adequate life Insurance cover, a good saving habit and an early started retirement planning are three basic elements of a healthy service life. Experts say, best form of insurance is term insurance, best savings is long-term investment in equity through mutual fund and best retirement planning is long term asset accumulation through diversified investment. 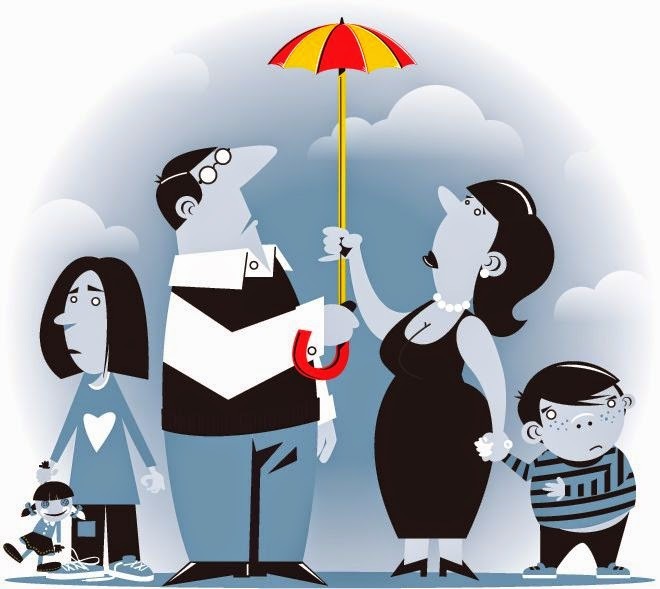 How much life insurance cover is sufficient? Life Insurance is needed to give financial protection to the dependent family in case of unfortunate death of the breadwinner. Unlike general-insurance (where the value of the asset to be insured is ascertained at first); life insurance can’t assign a value to a human life; but it targets to compensate for the financial loss to the family in absence of the breadwinner. So, to assess the adequacy of life insurance one has to know how much financial loss his family will suffer in his absence. Here, the Human Life Value Approach (HLV) is known as the most comprehensive approach, which involves calculating the lifetime income of the individual (making adjustments for all expected hikes and cuts) and discounting it at appropriate rate to arrive at the present value of all future earning of the individual. The resultant figure of the above formula is presumed to be sufficient to support the family in case of unfortunate death of the breadwinner. Here, 70% of one’s annual income is taken because other 30% is supposed to be one’s self maintenance cost (however, the figure is presumptive and subject to change from individual to individual). Currently the annuity rate offered by premier life insurance companies is around 8 %. Since, this rate is subject to change and one need to re-check the sufficiency of life insurance periodically. In addition to annuity rate, a change in one’s liability composition can also change his life insurance need. 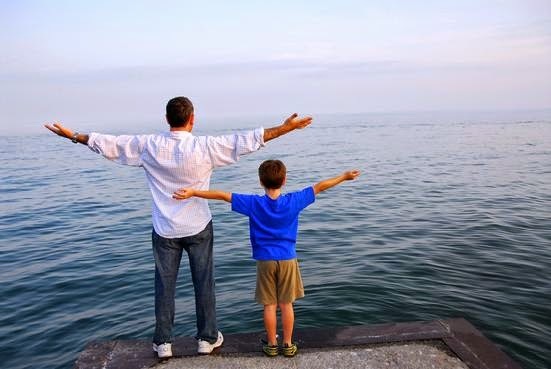 Pure term insurance is the best and cheapest choice for this purpose. But, the Problem with most of the people is that they think term insurance is wastage, because it has no maturity value. These people prefer endowment policies and use these policies as saving instruments also. Be aware that the fundamental purpose of all life insurance policies is to give a potential life cover to the life assured and other features are mere attachments. Still, some additional advantages available with the endowment policy often allure people. The advantages may be: - these policies generate some forced saving, these policies are acceptable as collateral deposits, additional premiums give income tax advantages, and maturity benefits are tax-free and so forth. In any case, please note that as saving instruments life insurance policies mayn’t always beat inflation. Still, if you are not a good investor and happy with a fair return on your money, you may check some high cover endowment type plans for a longer term or opt for some premium back term plans also. 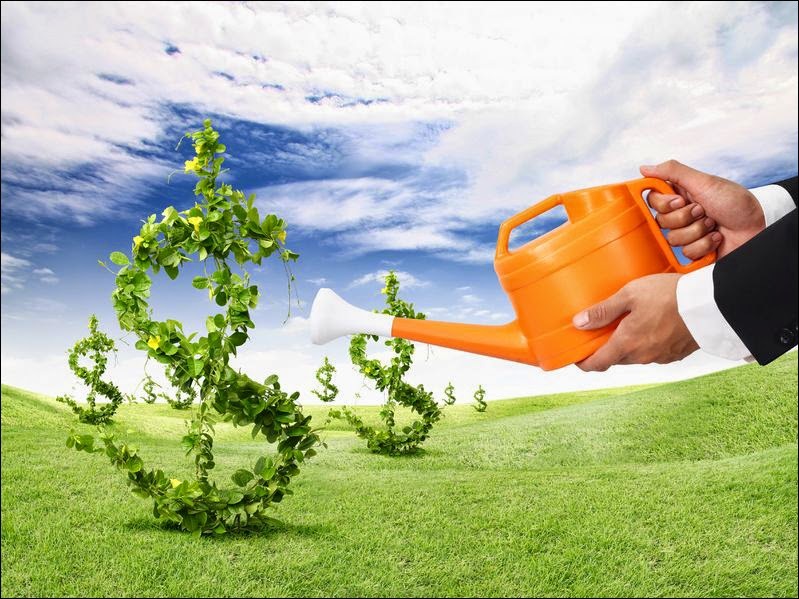 i) While purchasing any endowment type policy choose a term, which may give maturity just before your retirement. Endowment policies taken at younger age for longer term often give a better return. ii) Surrendering any insurance policy in middle of the term is not at all advisable. You will lose your life cover and a part of your accrued bonus also. Therefore, always take a term (the maximum possible) which will best fit your purpose. iii) Check the claim settlement record and if possible the profit and loss position of the company from which you purchase your policy. Again, a term insurance policy along with a PPF account is a widely preferred combination for insurance plus savings purpose. The Modified National Agriculture Insurance Scheme introduced in 2010 by the Union ministry of agriculture to provide financial support to farmers in case of crop damage due to natural calamities, diseases and pests, has not benefited farmers. According to the farming community, it is the insurance companies which are raking in profits on account of the operation of scheme by adopting the "area approach" instead of judging each case individually. As one farmer pointed out, damage must cover at least 75% of the gram panchayat area where a particular crop is cultivated or else no compensation is paid. Now, the farmers fear that if the insurance sector is opened to foreign direct investment (FDI), things could get worse for them. Manjit Singh from Bela Pukhra village, Jarnail Singh Jolly of Skaria, Rakshpal Singh from Katakpua and Jaspal Singh from Chatarbhojpur village were some farmers termed the MNAIS as defective scheme and the burden on farmers. It completely neglects losses of individual farmers in a situation where there were no widespread damages to crops in the area. The banks are empowered to forcibly charge the premium of crop insurance from the loan accounts of the farmers even if they are reluctant to avail the scheme. They warned that farmers would keep facing big losses until the assessment of the loss to crop is not initiated on an individual basis. They termed it a violation of fundamental right if a payer of insurance premium is denied the benefits of compensation. They pointed out that the official figures of crop insurance premium and the compensation government paid to cover damages reveal how the scheme is proving to be anti-farmer. 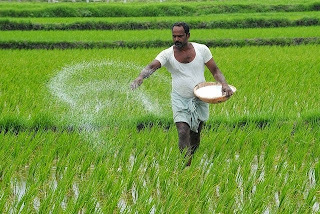 The deputy director of agriculture AK Singh told that under the Modified National Agricultural Insurance Scheme (MNAIS), in 2011-12, the total premium of crop insurance charged from farmers was Rs 1.49 crore against which the farmers were given compensation of only Rs 25.24 lakh towards damage to their crops. Likewise, in the next financial year, the corresponding figures were Rs 65.56 lakh and Rs 5.89 lakh marking a difference of 65.56 lakh between the amount of premium and the compensation. In the current financial year, the banks had charged the highest-ever premium from farmers (valued at Rs 411 lakh) only in the Kharif season, he explained. He explained that the premium of crop insurance is compulsorily charged by banks from those farmers who are the holders of agriculture loan accounts in the form of KCC (Kisan Credit Cards) and the premium amount is debited directly to their respective loan accounts. However, those farmers who have not taken a loan from the banks can decide whether they wish to avail of a crop insurance policy or not. He said MNAIS provides insurance coverage to all crops — foodgrains, oilseeds and annual commercial crops — provided these are primarily produced in the respective district. For the district of Pilibhit, wheat and mustard are the permitted crops for insurance in the Rabi season while paddy and sugarcane have been assigned for Kharif season, he added. AK Singh told that the amount of crop insurance premium varies in different districts as well as from crop to crop. For the current fiscal year, a total of 5.59% premium, on sum insured, has been fixed for paddy crop, in Pilibhit district, of which 3% would be borne by the farmer while the remaining share would be contributed by the central and the state governments in 50:50 ratio. For sugarcane, a premium of 2.49% has been fixed with 2% share of farmers, mustard crop has 4.34% premium making the farmers contribute 2.60% share and wheat crop would need 2% premium without any contribution of the government, the deputy director said. 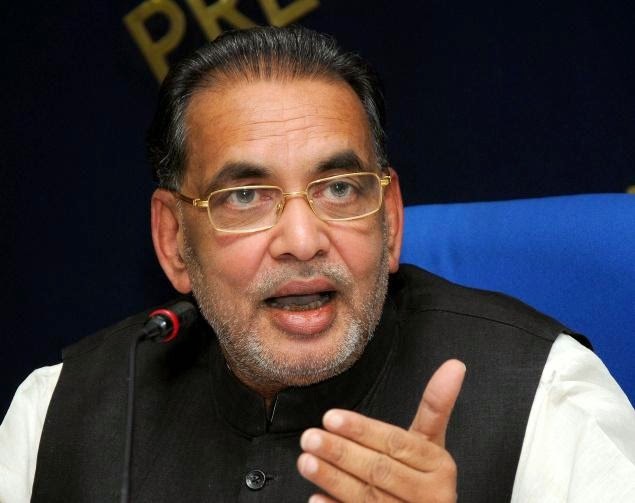 The Centre will formulate a new farm insurance scheme and finalise reconstitution of the Food Corporation of India by March 31, Union Agriculture Minister Radha Mohan Singh said here on Saturday. The present farm insurance scheme suffered from several discrepancies and the losses incurred by farmers were not getting calculated appropriately, he said. “We are in consultation with the States in this matter, ” Mr. Singh said. A committee headed by the former Union Minister, Shanta Kumar, is looking into the FCI reconstitution and would submit its report to the government. He said. Mr. Singh was in Anand district to launch the golden jubilee celebrations of the National Dairy Development Board, founded in 1965. Raising concerns over the likely impact of rising global temperatures on foreign breeds of milch animals, the Minister stressed the need to protect and improve indigenous breeds. “In India, 17 per cent of cow breeds are foreign, whereas 83 per cent are indigenous. If we increase their productivity, the overall milk production will rise. Scientists and scholars are warning about the impact of climate change and rising temperatures. The increased temperatures may jeopardise the future of foreign breeds posing a problem for us. Many countries have centres to improve local breeds of milch animals. In India too, we need to protect and improve the breeds of indigenous cows,” he said. The government has set aside Rs. 500 crore for the protection of indigenous cows. Mr. Singh said India had been the largest milk producing nation since 1998. Since 1951, India’s milk production has increased to 137 million tonnes from 20 million tonnes. While the per capita milk availability has gone up from 120 grams to 300 grams, the distribution was still iniquitous. With a view to conserving grazing lands, the government has issued directions to the States to take measures against their sale and unauthorised constructions on them. On inflation, Mr. Singh said food inflation, which typically crossed 8 per cent during July to October had declined below 8 per cent. Veteran cooperative farmers from Gujarat Maganbhai Patel, Arvindbhai Patel, Pujabhai Rathod, Fulabhai Patel and Gordhanbhai Patel were honoured for their long-standing contribution to the dairy cooperative movement. Mr. Singh also underscored the need for increased participation by women in dairy development. General insurers have sought a cap of ₹10 lakh on liability for third-party claims arising from road accidents. In their feedback to the Government on the draft of the Motor Vehicles Act, the insurers have sought this cap because of high losses arising from third-party motor insurance claims, which are in excess of ₹12,000 crore, according to industry estimates. Present provisions allow unlimited liability as decided by courts. In case of road accidents, compensation as high as ₹20-25 crore have been awarded. 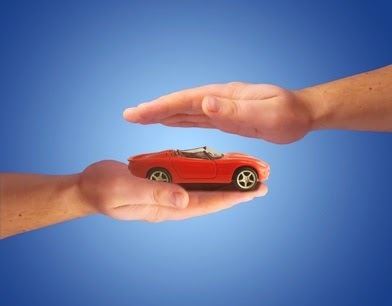 For vehicle owners who want to buy additional cover, an option for additional liability limit cover has been proposed. This additional cover will be for over and above the basic ₹10 lakh policy. Insurers feel a limited liability cap will not just help insurers in bringing down huge losses, but also in bringing down third-party motor insurance rates. “Third-party motor insurance rates have been rising annually at the rate of almost 25 per cent, especially for three-wheelers which end up paying ₹6,000 for an annual policy. “A cap on liability will ensure that insurers can estimate the losses and look at appropriate pricing of policies. This is currently difficult to ascertain due to the unlimited liability,” said Vijay Kumar, chief technical officer (motor insurance), Bajaj Allianz General Insurance. The two components of motor insurance in India are covering third-party damage in terms of property or life, and covering damage to one’s own vehicle. Third-party coverage is mandatory by law for both commercial and personal vehicles, and the premium in this segment is decided by the Insurance Regulatory and Development Authority. The draft of the Motor Vehicles Act has provided for penalties as steep as ₹3 lakh along with a minimum seven-year imprisonment for death of a child in certain circumstances, and proposes higher fines for driving violations and driving without an insurance policy. However, insurers feel that the draft has not defined a limit on the liability for a claim in the case of a road accident, limits of jurisdiction, and time-limit for filing a claim. G Srinivasan, Chairman and Managing Director, New India Assurance, said that if these three major suggestions are implemented, it will help solve the issue of high losses for the industry. Kumar said that the implementation of a time-limit for filing a claim will help insurers assess the claims faster and reduce litigation, which will result in faster settlement of claims. R Chandrasekaran, Secretary General of the General Insurance Council, said the Council has submitted its recommendations to the Government on the draft Motor Vehicles Act. In a major health sector reform, the government will ensure that every resident in India has access to affordable healthcare with provisions of free essential medicines while bringing over a dozen diseases including cancer and heart ailments under the ambit of the proposed National Health Assurance Mission. The reform to be packed under the mission will subsume the UPA government's National Health Mission and will also create infrastructure to provide generic variants of 348 essential medicines and fitness related diagnostic facilities across India. To be launched from the next financial year, the mission will also unveil the country's first national health assurance cover for all at affordable rates similar to Obama healthcare introduced in the United States, senior government sources told HT. "The government will chip in to pay insurance premium for the poor. Others will have to buy an insurance cover to get benefits under the Mission but the premium would be less than the existing health insurance rates," a health ministry official said, adding the poor are likely to be identified on basis of their annual household income. The mission aims to reduce out of pocket health expenditure for people, which as per national sample survey office survey had almost doubled in 2012 as compared to 2000. It also aims at optimum use of public health infrastructure created under the erstwhile National Rural Health Mission. NSSO data shows that the use of government's inefficient health system was falling even in rural areas with people opting for private medical facilities despite government expenditure on public health increasing to about 4% of the GDP. A senior official said the mission would move into PPP mode to provide affordable healthcare with private players allowed to utilise certain government created infrastructure. The reform will take the successful insurance-based models in states like Rajasthan and Tamil Nadu to the national scale. These models cover health cost in the empanelled private hospitals and in those where the patients are referred by a government hospital and provide for free generic medicines in all government hospitals. The Insurance Regulatory Development Authority (Irda) has come out with a new product planner rule, by which an insurance company can file only five products for approval in a year. However, Life Insurance Corporation of India (LIC), the country's largest insurer, might be given a special dispensation by the regulator. In order to reduce the time taken for product approvals, Irda has asked life insurers for a product planner before every financial year. The planner would give an indication of the number of products an insurer proposes to file each quarter. S K Roy, chairman of LIC, explained that the product appetite of the marketing team of a company of its size is huge. "We have spoken to the regulator on this issue and should be able to get a special dispensation," he said. Roy added LIC's product portfolio has shrunk from 60 products to 16 life insurance products and eight group insurance products. Irda has said if the number of products exceeds five, the insurer should furnish supporting market research, product-wise persistency for the 13th month, 25th month and 37th month as on April 30 of the previous year. The new product guidelines for traditional products were implemented in January 2014. 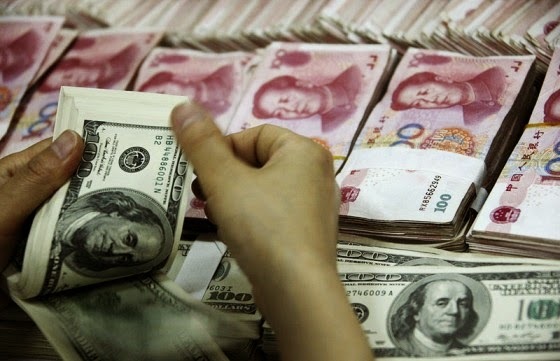 The new rules made changes in the product structures, commissions, and surrender charges; it also increased transparency in product return disclosures. As a result, all insurers were required to re-file all products with the regulator to comply with the new norms. However, industry players said the approvals had been a little slower due to which the complete product portfolio of life insurers was yet to be achieved. According to the product planner, every financial year, a company can file five new products, apart from riders that are not part of this number. At present, Irda follows the file-and-use method of application, wherein insurers apply to obtain prior approval of the authority to introduce/modify insurance products. Beginning April 2014, insurers have been advised to file this planner at least 45 days before the beginning of the next financial year (before February 15 of each year). On an average, industry players file 8-10 products and riders each year, which are an addition to their existing product portfolio. Now that it has been capped at five, insurers are worried the choice given to a customer might be limited because insurers would not be able to file more than one product in each category (pension, health, group, individual and others). While LIC is hopeful of getting an exemption from the new rule, other insurance firms are upset. "We have had to re-file our entire portfolio with Irda. They should have either relaxed the norms for at least this year or increased the cap to 10," said the CEO of a large bank-promoted insurance company. 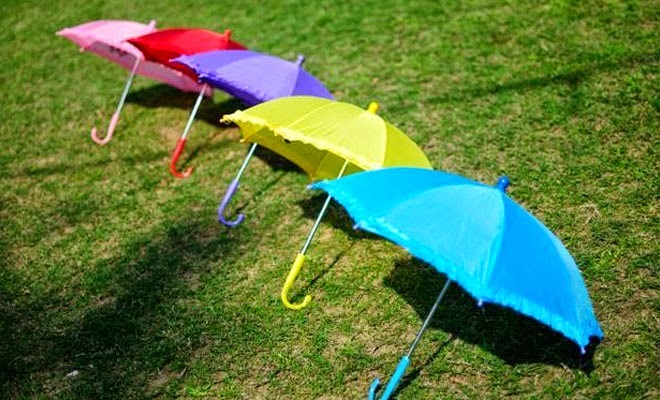 According to another insurance executive, in order to cover the bare minimum areas of term, endowment, pension, child plan, health and unit-linked space, they need six basic products. "A company would like to offer at least two or three products in each of the above category to its customers. With the restrictions, we are constrained," he said. Meanwhile, regulatory officials noted that only some products by insurance companies are well received by customers. "The idea is to have few products that sell well," said an official.